Only Keys belonging to a KeyPack are eligible for use. 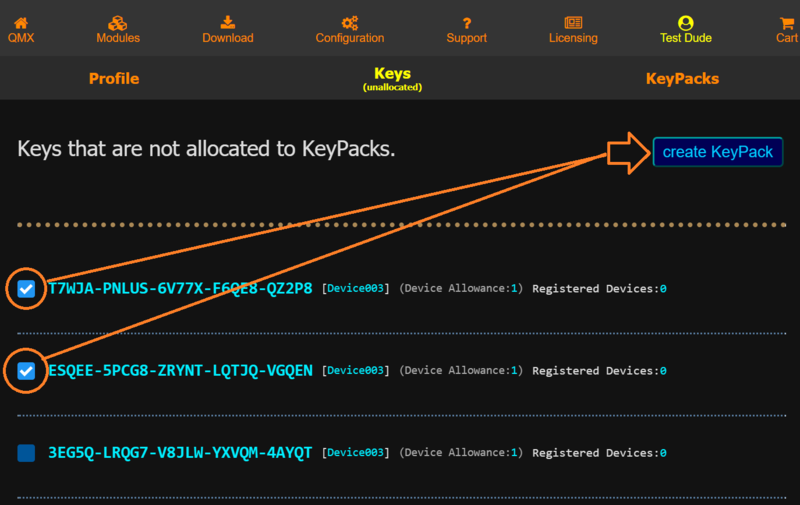 Keys that are not part of a KeyPack cannot be used to Register Client Devices. 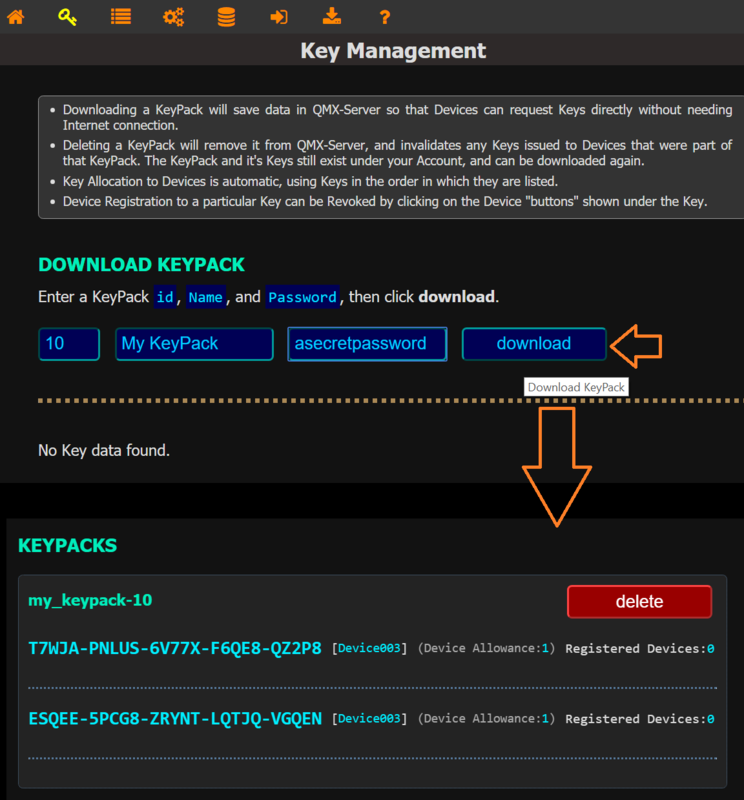 When you create a KeyPack, you can assign a Name and Password, and use that information to download the KeyPack in QMX-Server. 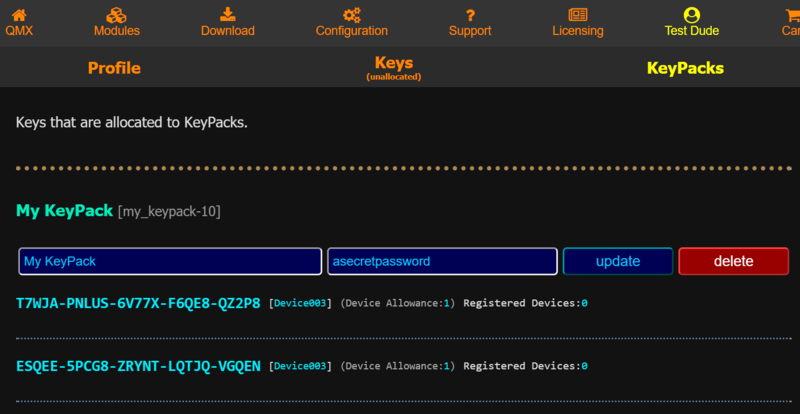 Use your Account on the QMX Website to manage your KeyPacks.